Summary: Like she did in her first book, Invisible Emmie, Terry Libenson tells two intersecting stories. Brianna’s is in comic format, while Izzy’s is a mix of text and illustrations, some with cartoon bubbles. 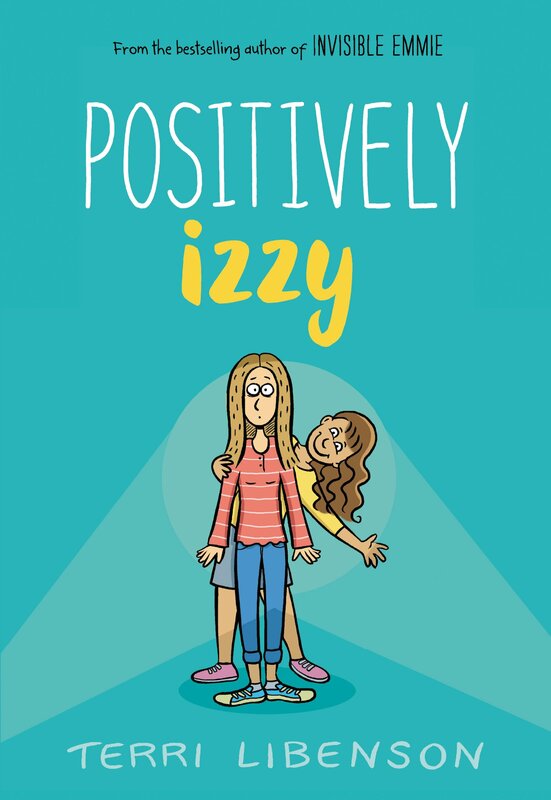 Izzy often struggles with focusing on her school work, but loves to dream up stories and act them out. Brianna is a serious student whose drama teacher mother wishes she would try acting. When Izzy flunks a math test, her mother’s punishment is to forbid her to perform her act in the talent show. Brianna, on the other hand, gets recruited to perform in the show when one of the actors can’t make it. Both overcome internal and external obstacles on their way to success, and the two stories come together in a surprising way at the end. 224 pages; grades 3-7. Pros: This is sure to be a hit with graphic novel and diary fans. I did not see the surprise coming at the end, and loved the way the two stories fit together. Cons: “Izzy” is a silly nickname given to her by her sister; we never find out her real name.